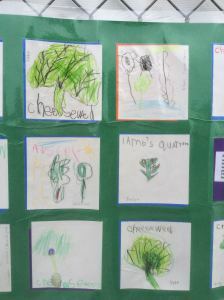 I love this use of poems to spark a unit on Family. 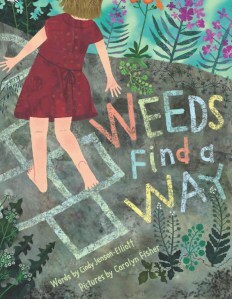 Patricia Newman speaking on Nonfiction Panel at SCBWI San Diego meeting this Saturday, along with Cindy Jenson-Elliott (Weeds Find a Way) and Wendy Perkins (Animal Bottoms)! I didn’t plan to write a call to action. I planned to write a science book for kids about plastic accumulating in the North Pacific. But the project surprised me partway through, and took me in a new direction. The idea for Plastic, Ahoy! 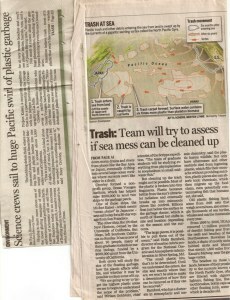 Investigating the Great Pacific Garbage Patch began with an article in my local newspaper about graduate students who organized a research trip called the Scripps Environmental Accumulation of Plastics Expedition (SEAPLEX). They wanted to study the growing plastic problem in the North Pacific Central Gyre—a massive area of open ocean surrounded by circling currents. SEAPLEX was one of the first expeditions to gather data from the gyre, and its story showed how science could be fun and relevant. 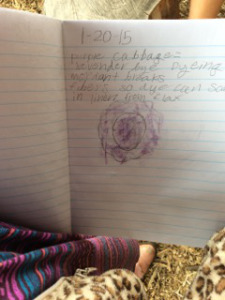 The nonfiction author in me wanted to know more. Mentor Texts for Adults — We all use them! 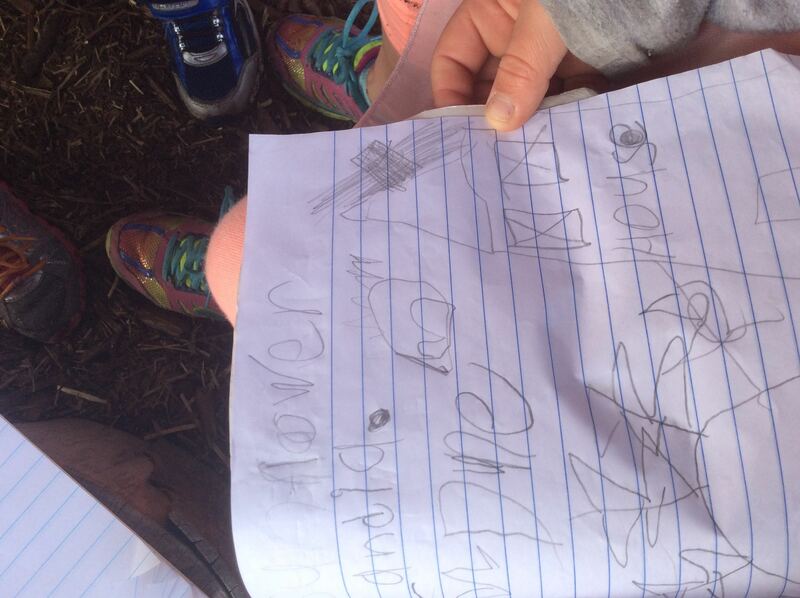 This article shows ways that we adults use mentor texts without even calling them by name. 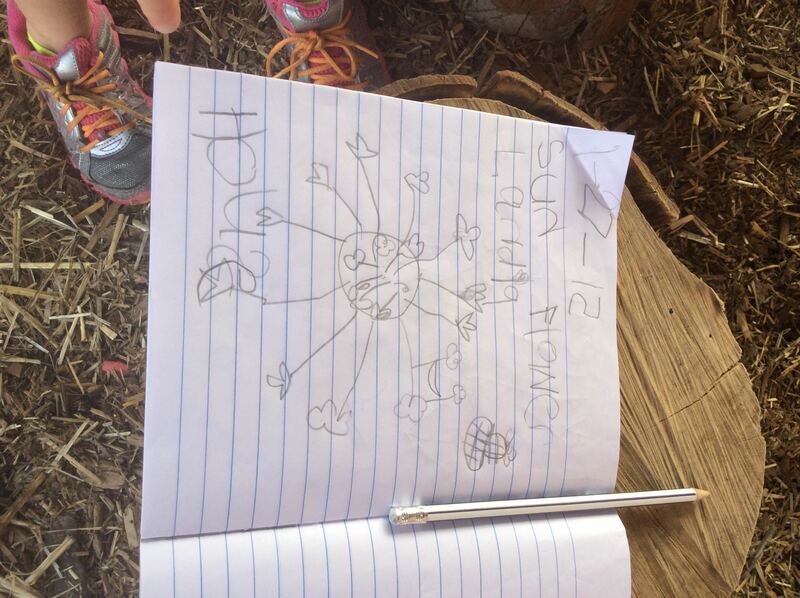 Thank you to the Writing Thief MOOC for introducing me to this thought provoking article. 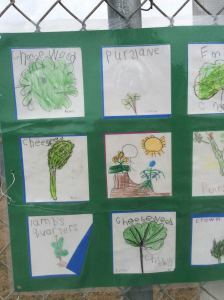 Weeds Found a Way in our Garden — So We Made Art! 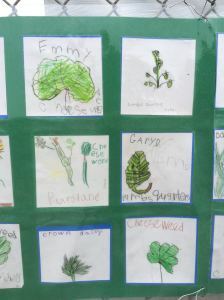 Kindergarteners read Weeds Find a Way, by Cindy Jenson-Elliott, then pulled weeds and then learned their names. 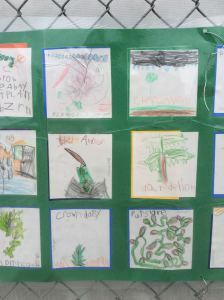 They drew several iterations of their chosen weed and worked hard to get the details right in their pictures. Here are the results. 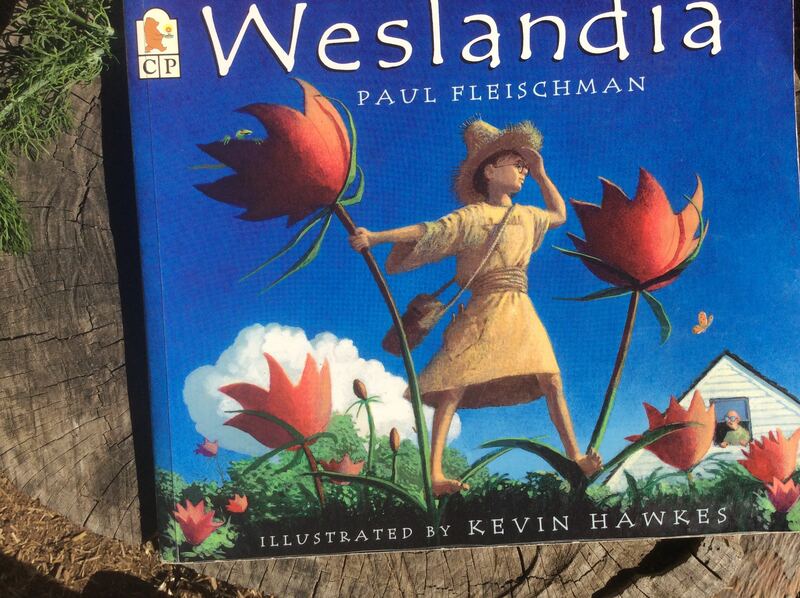 I read Weslandia, the amazing picture book by Paul Fleishman, about a boy who does not quite fit in to his neighborhood, who creates his own civilization in his back yard. 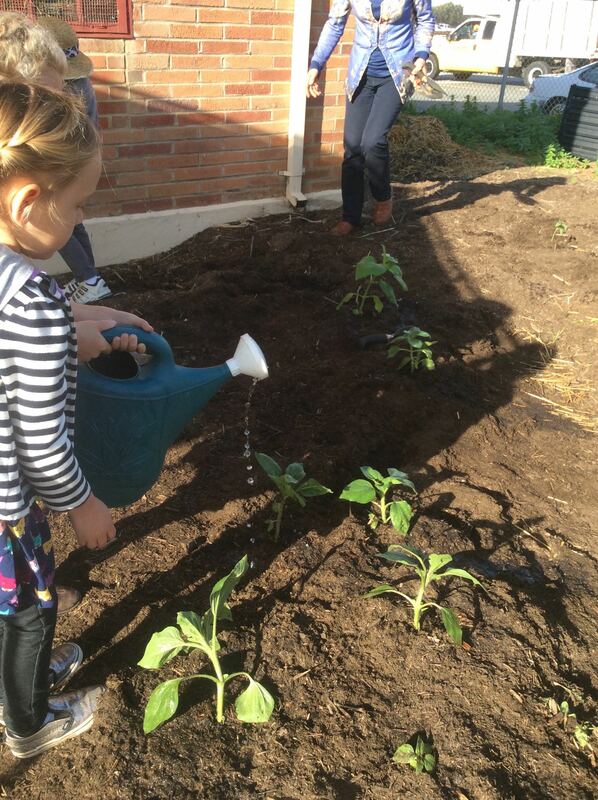 Then half my students set out to create SunflowerLandia, by transplanting sunflowers that had come up randomly throughout the garden and creating more sunflower rooms and houses for children to play in. 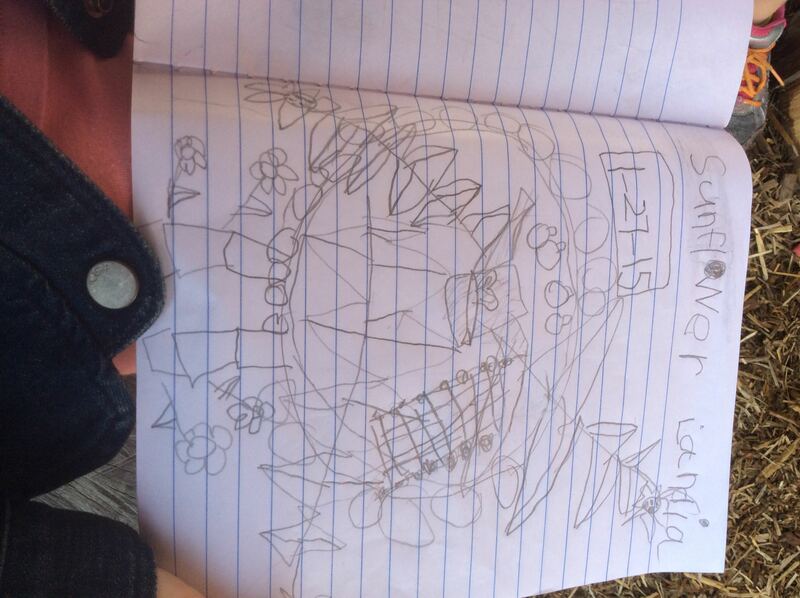 Students wrote about what their SunflowerLandia would need to have in it, and what they would create out of their “staple crop,” as Wesley did in Weslandia. 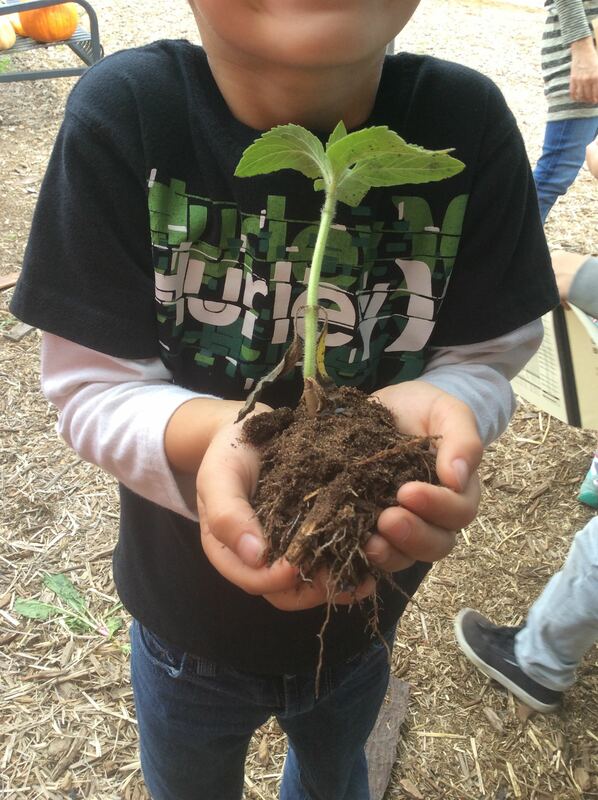 When all the sunflowers had been transplanted, another group of children created a miniature Weslandia in our pollinator garden by making fairy houses. 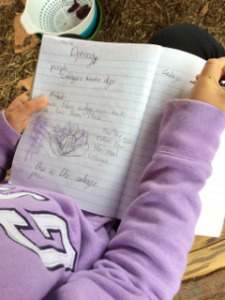 The school garden can be a great place to inspire Common Core Informational Writing. 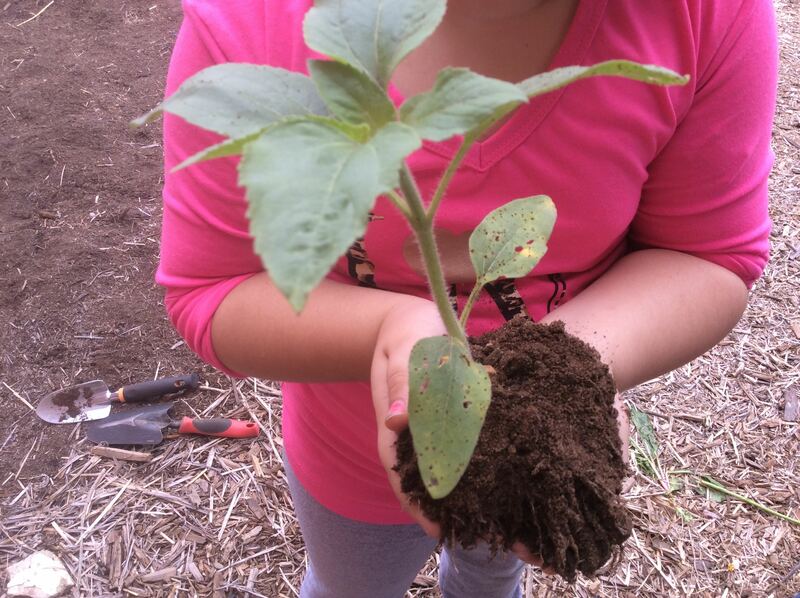 I run two school garden programs. 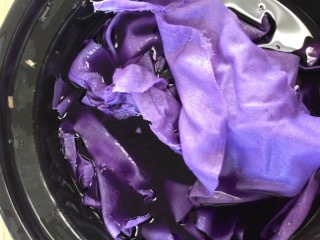 At one of my school gardens, we harvested the purple cabbage we planted a couple of months ago and made dye for linen. 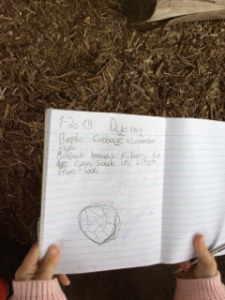 It was a good opportunity for Common Core informational writing!